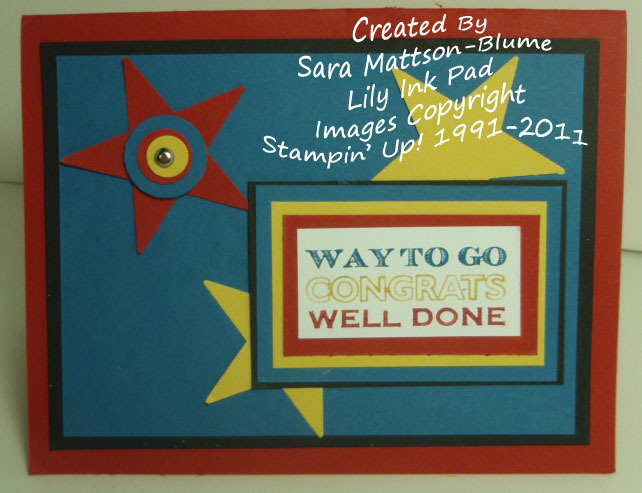 Lily's Ink Pad: Happy Greetings, Graduate! Accessories: Star Punch, 3/4" Circle Punch, 1/2" Circle Punch, Itty Bitty Circle Punch, Silver Brads, Paper Piercing Tool and Matte. I wanted a fun card and I think I got it! 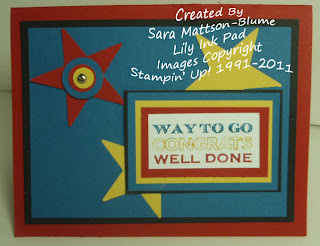 Great graduation card! I love the circles on the star! Awww, what a nice thing to receive from a former teacher! I'm sure that made their day!! Happy Every Little Bit of Father's Day!